Our Vital Sports Bra is made of 72% polyamide and 28% spandex. It provides maximum comfort and support so you can be comfortable during your workouts. 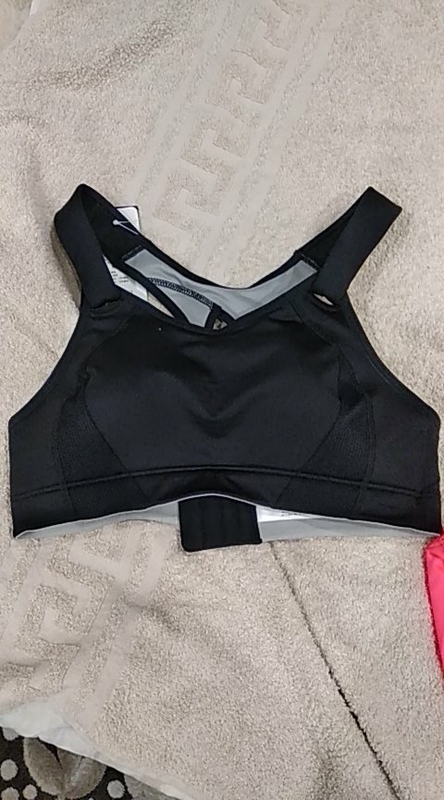 This sports bra comes with adjustable straps and is slightly padded. * It is recommended that you include your phone number along with your email address when placing an order. This will allow your local post office to contact you, once they receive your order. * We provide free trackable shipping on all orders, worldwide. Please be advised that in some rare cases, customs may briefly hold packages which can cause slight delays. For detailed shipping information, please refer to our size and shipping info page. Very satisfied with my order. Will order more colors. Thanks! Just as described. Looks good and provides great support. Would say i will be ordering again. Thakns! Enjoying the new sports bra. Very high in quality and has great support. Great sports bra. Very good in fit and material. Quality great! I love it. Overall glad with my purchase and i will be ordering again! Thank you! Gorgeous sports bra. Material is good love the quality. Thanks!!! Customers rate us 4.9/5 based on 1668 reviews. Save 10% on your next order when you sign up for our news letter. Copyright © 2019, Fitness Junkies.